As we head into Christmas weekend, now’s a good time to take a look at how your commute will be affected during the holidays. Plus, Governor Andrew Cuomo has directed both the MTA and Port Authority to ramp up security measures—by adding more patrol officers in subway stations, at major transit hubs (like the WTC Transportation Hub and Port Authority Bus Terminal), at bridges, and more—in the wake of the terrorist attack in the subway system earlier this month. Put all that together and you have a recipe for a very hectic holiday commute. If you’re worried about getting around, never fear; here’s everything you need to know about service changes this week on subways, buses, airports, streets, and more. No 2/3 service in Brooklyn; 2 trains run between South Ferry and the Bronx, and 3 trains run between 14 St and Harlem-148 St.
4 service runs between Woodlawn and New Lots Av. 5 service runs between Flatbush Av and the Bronx. No express service on the 5 or D trains in the Bronx, or the 6 or 7 trains. No B service; use the A, C, D and/or Q instead. M service runs between Delancey-Essex Sts and Broadway Junction, and between Myrtle-Wyckoff Avs and Metropolitan Av. No W service; use the N, Q or R instead. No J/Z skip-stop service – take the J instead. Phew. More details are at the MTA’s Weekender site. Christmas Eve will also mark the final journey for the New York Transit Museum’s special vintage holiday trains; they’ll travel between Second Ave and Lexington Ave-63rd St on the F line, and then along the Q—aka the Second Avenue subway—from 63rd St to 96th St. 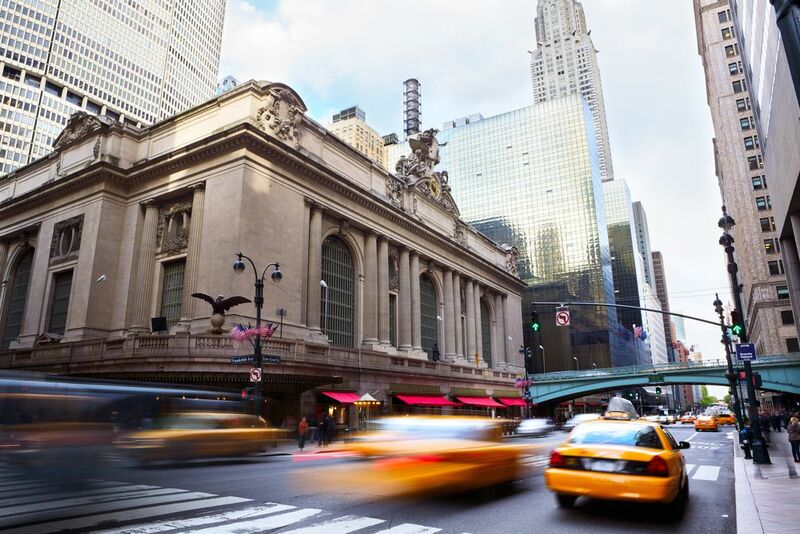 Trains begin running at 10 a.m. and the last one leaves the Upper East Side at 5 p.m.
City buses will also run on a Sunday schedule on Christmas and there are several lines that have holiday season bus stop changes in effect. If you rely on the bus to get to and from LaGuardia Airport, then good news: the MTA and the Port Authority will offer free service along the Q70’s Select Bus Route, which operates between the airport and several subway stations in Queens. The buses go from LGA to the 61 St-Woodside subway station on the 7, and the Jackson Heights-Roosevelt Av stop, which services the E, F, M, R, and 7 lines. It’s in effect from December 21 through January 8. Metro-North: There will be extra trains running from Grand Central Terminal on Friday beginning at 1 p.m., and “evening trains will be cancelled or combined because of reduced ridership later in the day,” per Metro-North’s website. There will be “shopper’s special” trains running on Sunday, aka Christmas Eve; on Christmas day, there will be hourly service on most lines, and other changes to the schedule. All of that information is available on Metro-North’s website, and there are some different changes in effect for lines west of the Hudson. LIRR: Specific changes to LIRR service are still TK. There are plenty of changes to NJT service over the weekend, chief among them the addition of early “getaway” service, similar to what the Metro-North is offering, on Friday; trains will begin running to and from Penn Station at 1 p.m. to accommodate holiday travelers. There will also be additional buses running on some lines from Port Authority beginning at 12:30 p.m.; best to check the NJT website for full details. Trains will also operate on a weekend/major holiday schedule on Monday. PATH trains will operate on a Saturday schedule on Thanksgiving day, and a modified weekday schedule on the day after Thanksgiving. There aren’t too many other details available, but the PATH Twitter account is a good place to check for updates. 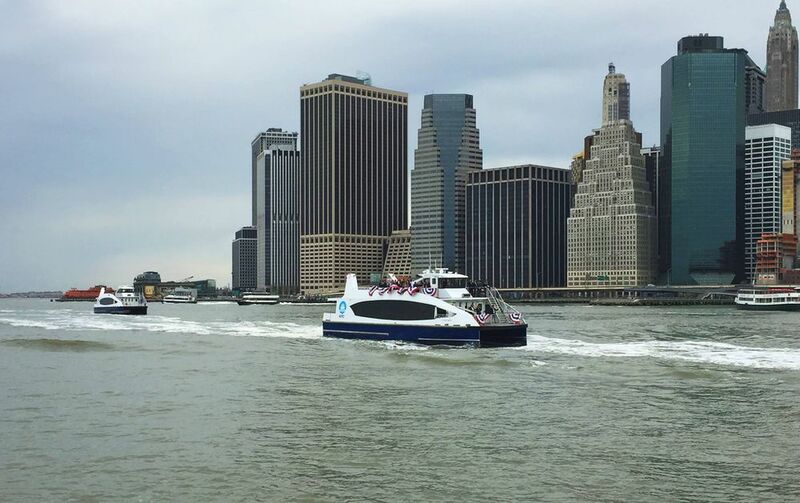 On Christmas, all ferry service will operate on a weekend schedule and the Midtown and Downtown Far Rockaway shuttle bus will not run at all. The days leading up to Christmas are always ridiculous and overwhelming for travelers—and New York’s airports won’t be immune to chaos. 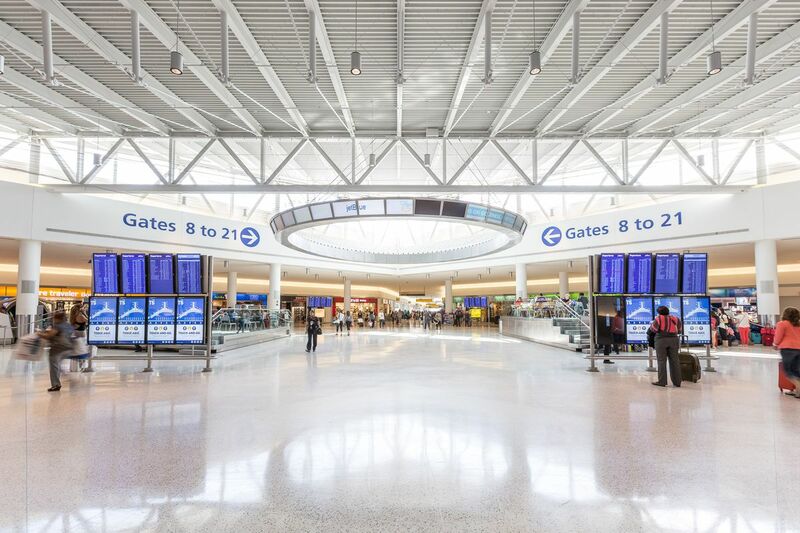 Both LGA and JFK have been blasting out travel tips via Twitter, which boil down to the basics: arrive earlier than you think you need to; take public transportation (use that free Q70 service! ); be prepared with your boarding pass; you know the drill. The TSA’s website also lets you check out the wait times at different security gates at NYC’s various airports; find that here.